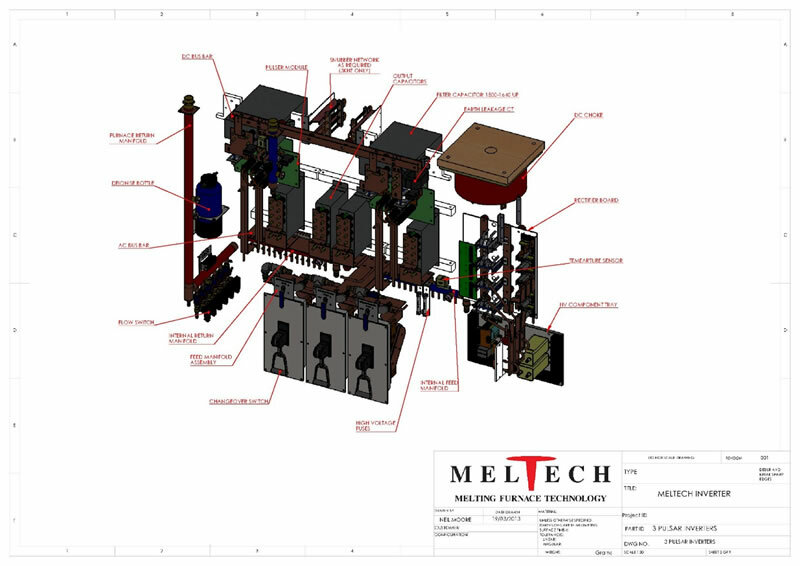 In 2008 a market development strategy was planned which would enable this small companies business activities to broaden into new and exciting areas of foundry melting technology, back then Meltech was already renowned as a supplier of rebuilt induction melting systems and over the previous decade had established sizeable market share for the supply of small to medium induction furnaces. At that time it was apparent that changing market trends and incoming electromagnetic field emission legislation would in the long term likely to increase the demand for new equipment sales. In order to gain success in a very competitive market it was recognized that the finished product had to be simple in design, reliable, efficient and cost effective .The need for lateral thinking and innovation was going to test the companies engineering team to the limit, furthermore traditional design techniques using standard two dimensional drawing software were going to be too inflexible and slow to achieve the level of detail and variability required in the timescale available. 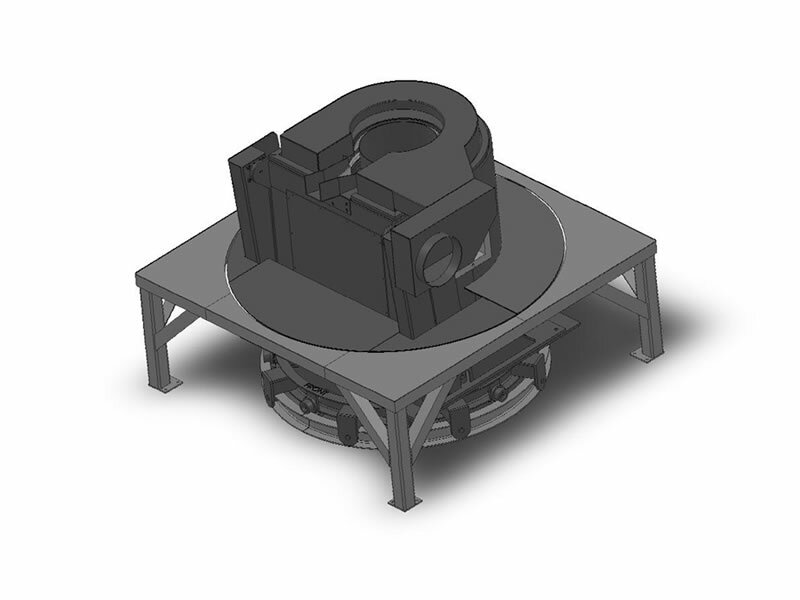 After careful consideration it became clear that Solidworks from Innova systems was the optimum software and training package to suit the companies needs and gave other features which later proved essential to the product development. Because the software is based on three dimensional modelling, it was possible to simulate the assembly of each furnace body and inverter down to nut and bolt level before any metal is actually cut, this eliminated the possibility of dimensional or structural errors which commonly manifest themselves once the machine is actually being assembled. A great deal of care was taken in the structural integrity of the design, particularly on parts of the assembly which are subjected to extreme load forces, this software allows the designer to incorporate data into the calculations which then provides a stress and fatigue analysis on the assembly or individual components, in particular shear stress points were of upmost importance on their tilting furnace body tilting trunnions which have to have a design loading much higher than that which is present in normal operation, this fundamental requirement of calculation and certification was previously sub contracted out at high cost. A further bonus is that the compilation of manuals has now become much easier as the software also provides product specific drawings, component schedules and bill of materials which can be easily incorporated into the customer’s document file, gone are the days when customer’s user operator manuals incorporated generic drawing or exploded views which did not exactly correspond to the machine sold. 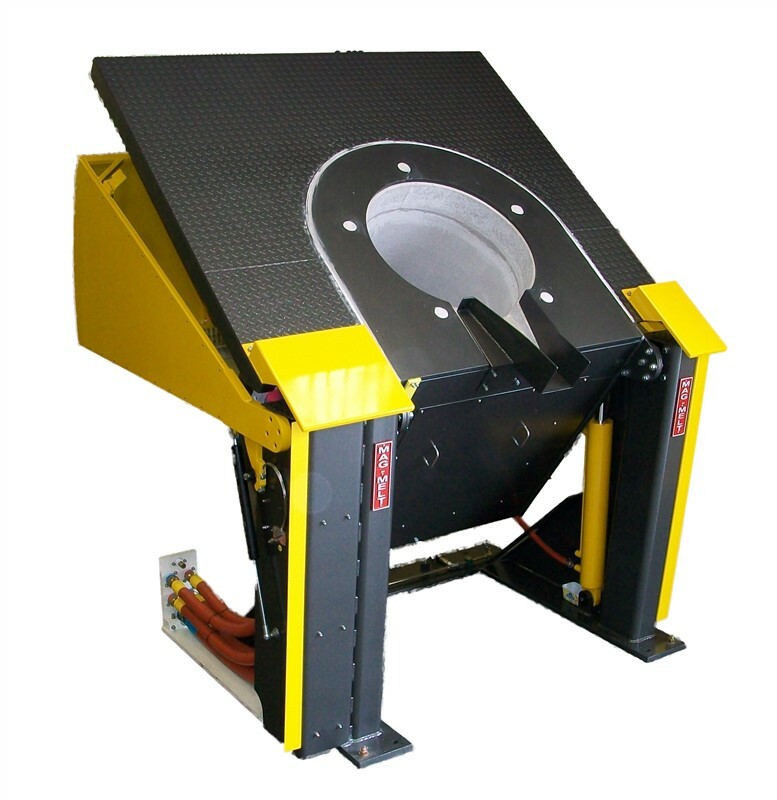 Today, Meltech have extended the range of Mag-Melt furnace to include tilting furnaces up to 1,500kg capacity and crucible drop coil furnaces up to 200kg capacity. The newly introduced Pulsar Inverter system provides seamless control in single or dual output up to 750kW with frequencies of 200, 600, 1000 and 3000Hz.